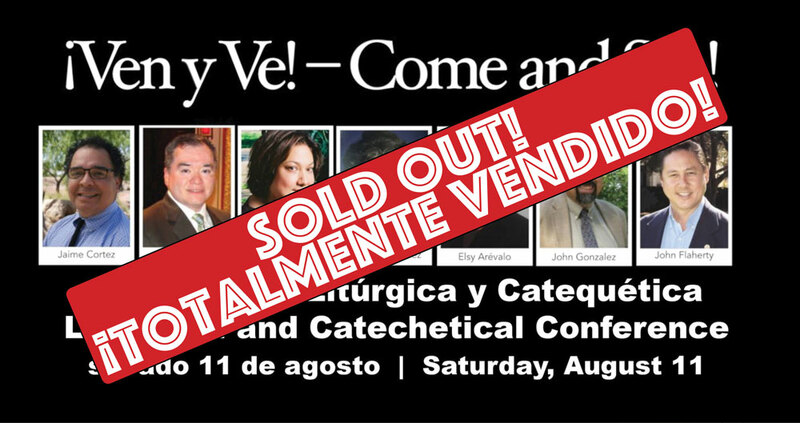 A fully bi-lingual conference for Liturgical and Catechetical Ministries. Sponsored by The Diocese of Amarillo in Partnership with OCP and Loyola Press. Come to a lively day of interactive formation for liturgists, musicians, Catholic school teachers and catechists! Ven y Ve focuses on techniques to integrate liturgical and Catechetical ministries creating richer programs and more vibrant prayer and liturgical experiences. The whole becomes greater than the sum of the parts. Presenters: Elsy Arevalo, Jaime Cortez, John Golzale, John Flaherty, Marco López, Rebecca Ramirez, and Janèt Sullivan Whitaker. Presented by OCP and Loyola Press, in partnership with the Diocese of Amarillo.